With the Holidays around the corner, it’s time to discuss what should be the #1 ingredient in your pantry – coconut oil. Coconut oil is a great replacement for butter or oil when cooking and baking. My personal favorite is substituting it when making baked goods – your cookies and cakes will never be dry or dense again! Today I wanted to share a recipe for individual egg muffins that I made over Thanksgiving and were a hit! I love love love this recipe because it’s super simple to make and quick. 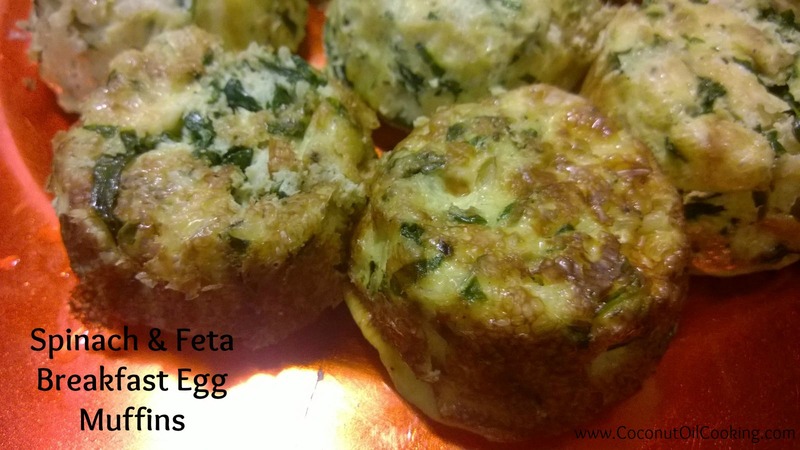 These egg muffins can be made with any protein (ham, sausage, bacon, turkey), with a carb on the bottom (bread, potatoes, sweet potato, hash browns), and with any vegetable of choice. 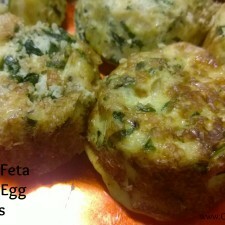 I chose to use spinach, feta, and onion for these individual muffins. Coconut oil is used to sauté the onion and spinach, which gave off so much flavor – yum! Preheat oven to 350°F. Grease muffin liners with Kelapo Coconut Oil Cooking Spray. Set aside. Beat together eggs. Add the Feta cheese, salt, and pepper, stir to combine. Set aside. In a large pan over medium heat, add coconut oil and onion. Saute until the onion is golden brown. Add in spinach and minced garlic, stir until all ingredients are completely combined together and spinach is wilted. Remove from oven and let cool for 5 minutes before removing from the muffin pan. Of course these are best fresh from the oven; however you can also freeze these – great for when family is over or getting the kids ready for school during a hectic Holiday season. To do so, wrap each muffin individually in plastic wrap, put them all into a Ziploc bag and freeze. Take out in the AM and put into the microwave for 1-2 minutes and you’re done!